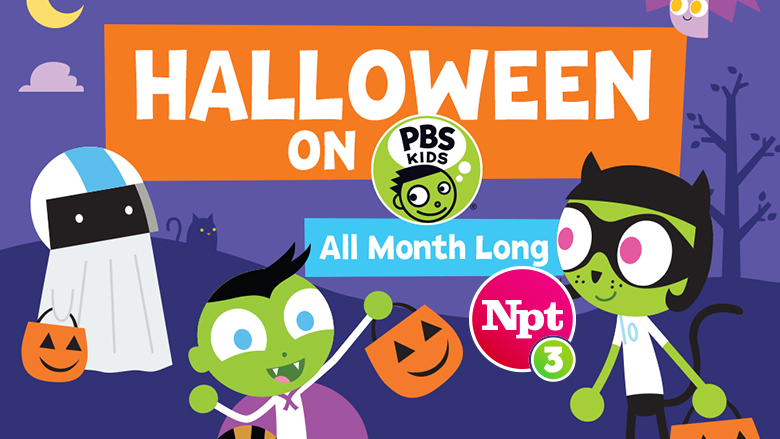 Keep your little ones entertained this month with new Halloween-themed episodes of Wild Kratts, Odd Squad and other favorite PBS Kids shows! Here are some of the treats in store for them on NPT and NPT3 PBS Kids. 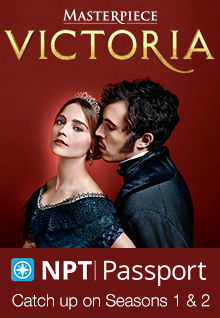 NPT airtimes are below; check wnpt.org/schedule for NPT3 PBSKids airtimes. And don’t forget to check out the PBS Kids website for Halloween games and pumpkin-carving templates based on PBS Kids characters. Odd Squad Two new episodes air this month. In “Saving Agent Orson/The Scientist,” the agents try to save baby Agent Orson’s place on the squad. Meanwhile, Oona finds herself in an alternate dimension. Airs on NPT Oct. 26 and Nov. 6 at 3:30 p.m. Then in “It Takes Goo to Make a Feud Go Right/Friends of Odd Squad,” Olympia and Otis deal with feuding guests when Ms. O leaves an unlikely crew in charge of the HQ. Airs on NPT Oct. 26 and Nov. 6 at 4 p.m.
Pinkalicious & Peterrific The first of two new episodes, “Pink or Treat,” features Pink-a-girl and Pirate Peter trying to save Halloween when a huge storms knocks out power lines in Pinkville. In “Berry Scary,” Pinkalicious, Peter, Rafael and Frida discover the birds have eaten all the berries at the community garden, leaving none for their homemade smoothies. The kids build a scarecrow to keep the birds away – but will it be scary enough? Airs on NPT Oct. 26, 29 and 31 at 8 a.m. and 1:30 p.m., and on Oct. 28 at 7 a.m.
Ready Jet Go! When the kids try to grow prize-winning pumpkins, Jet gets carried away and uses his Bortronian Grow-Lamp to grow a huge fruit in “That’s One Gigantic Pumpkin, Jet Propulsion!” But how will the kids get this enormous pumpkin downtown to win the contest? Airs on NPT Oct. 23, 26, 30 and 31 at 6 a.m.
Wild Kratts In their first Halloween movie, the brothers decide to spend Halloween looking for new creatures in “Creepy Creatures.” Then, they learn that Zach and the other villains have come up with a plan to ruin the holiday. Can the Wild Kratts save the day and still have time to celebrate Halloween? Airs on NPT Oct. 24, 26, 29 and 31 at 2:30 p.m. and Oct. 26 and 31 at 7 a.m. This episode also airs at 7 p.m. Oct. 26 – 28 on NPT3 PBS Kids as part of the Halloween double feature with Arthur and the Haunted Tree House. NPT3 PBS Kids is available over the air at 8.3, on Comcast 242, Charter 189 or 192 (depending on area) and Google Fiber 87. This entry was posted on October 22, 2018 at 4:54 pm. You can follow any responses to this entry through the RSS 2.0 feed. You can leave a response, or trackback from your own site.